Fall is my favorite season in Georgia. The weather is a great relief from the hot, humid Georgia summers. 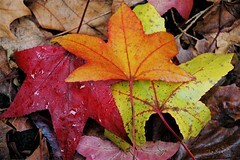 Throw in the brilliant colors as the leaves change and begin to fall, and there is no reason not to be outside.